HBO has released the a new wild trailer for the comedy biopic My Dinner with Herve, starring Peter Dinklage and Jamie Dornan, and it looks absolutely fantastic. Check it out below! An unlikely friendship evolves over one wild night in LA between a struggling journalist (Dornan) and actor Hervé Villechaize (Dinklage), resulting in life-changing consequences for both. Written and directed by Sacha Gervasi (The Terminal, Hitchcock) from a story by he and Sean Macaulay, My Dinner With Hervé is based on Gervasi’s own experience interviewing Herve Villechaize in 1993, just days before the actor killed himself. Peter Dinklage can soon be seen reprising his role as Tyrion Lannister on the seventh season of HBO’s Game of Thrones before joining the superhero ensemble Avengers: Infinity War in a mystery role. Jamie Dornan, meanwhile, will return for the final Fifty Shades of Grey film, Fifty Shades Freed, in 2018. He’s also set to play Will Scarlet in Lionsgate’s upcoming Robin Hood. Andy García is about to begin production on the film Ana. 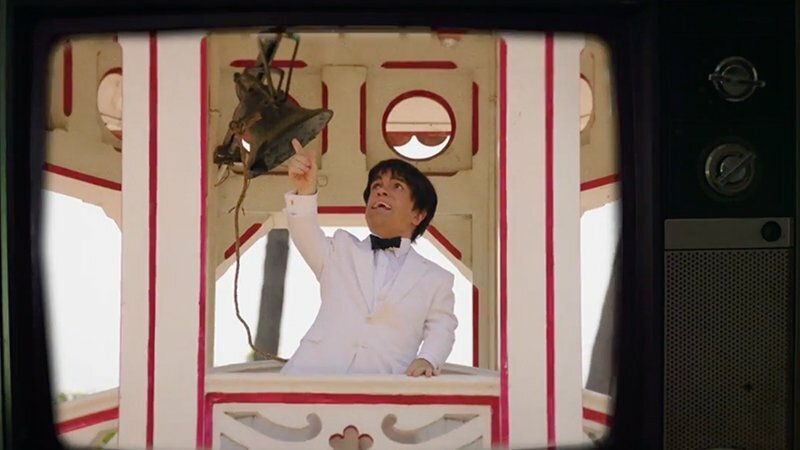 My Dinner With Hervé is executive produced by Gervasi and Dinklage alongside Jessica de Rothschild, Ross Katz, Richard Middleton and Steven Zaillian. Garrett Basch and David Ginsberg will serve as co-executive producer. The post New My Dinner with Herve Teaser Debuts from HBO appeared first on ComingSoon.net.